Good news, java junkies: Researchers have found the more coffee you drink, the more you may be protecting yourself against skin cancer. According to a new report published in the journal Cancer Research, drinking more caffeinated coffee could lower your chances of developing basal cell carcinoma, the most common form of skin cancer. Researchers analyzed data from the famous Nurses' Health Study on more than 112,000 people. One fourth of those studied had developed basal cell carcinoma over a 20 year period. Investigators found the more someone drank caffeinated coffee, (more than two cups a day) the lower their risk of developing this form of cancer. Scientists noted caffeine seemed to be key factor, because tea, cola and chocolate, all of which contain caffeine also seemed to cut a person's risk. Basal cell carcinoma is a slow-growing skin cancer. Although it is not as serious as melanoma, it can still lead to permanent damage or death if not treated. 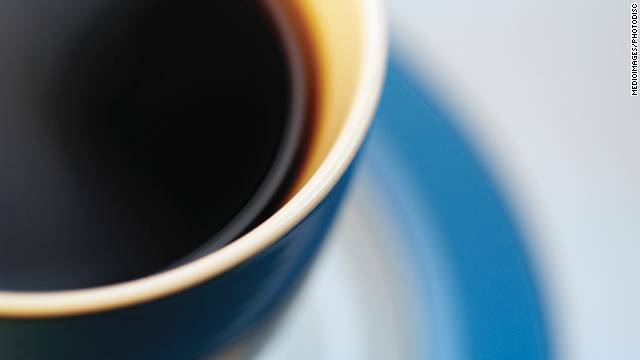 Doctors say this doesn't mean people should be drinking coffee by the gallons. "I would not recommend increasing your coffee intake based on these data alone," Jiali Han, an associate professor at Brigham and Women's Hospital, Harvard Medical School in Boston and Harvard School of Public Health, and an author with the study. "However,” she continued, “Our results add basal cell carcinoma to a list of conditions for which risk is decreased with increasing coffee consumption. This list includes conditions with serious negative health consequences such as type 2 diabetes and Parkinson's disease." Researchers also noted that this is just the first step; more research is needed to better understand why caffeine cuts someone's risk of developing this form of skin cancer. It makes sense – coffee colored people get less skin cancer. The information you were given is defefrint from what I received. I was diagnosed with Breast cancer last year. I went to genetic counseling and was hesitant to get the test because I was afraid I would never be able to switch to a defefrint insurance policy (say if I moved to a defefrint state). if I tested positive. I was told that the insurance companies can not deny you coverage as long as you have had no lapse in insurance. My husband and I pay for our own insurance because he's self-employed, so I figure they may not deny me, but they probably would hit me up for a pretty steep premium. As for the catch-22 and needing to get a double mastectomy and re-construction immediately or treatments won't be covered if you get Cancer also seems odd .. You should really get a second opinion on this. Good to know. I wonder, I've really been cutting back on the coffee and switching to energy "shot." (I like one called Eternal energy shot in particular, found it at wally world) I wonder if its because of the antioxidants or because of the caffeine content? Good to know! Meghan:You are so right!! Prevention if the key! We were educating at the Jones Beach Air Show this Memorial Day wenkeed three separate individuals came to our booth and thanked us for advising them last year to have a full body check. They had never been to a dermatologist, nor did they have a concern. Our message is always the same if you haven't had a body check GO! Melanoma in situ was found on each of them. One woman had two melanomas on her back!! We have got to continue with education regarding uv protection early in life as well as early detection if we are going to make a dent in this disease. Our daughter, not a sun person, had two sunburns in her youth, melanoma was diagnosed at 29 y/o and died 5 1/2 months later. The first in the family to have skin cancer.